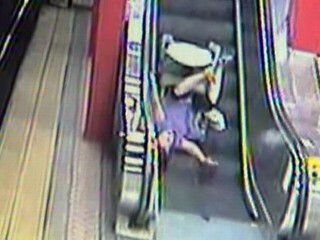 This video shows a woman on a scooter taking a spill as she tries to ride up an escalator. But you'll have to see for yourself and react below in the comments. There aren't many clips that leave you speechless -- or laughing for the wrong reasons. Did you find this video alarming, funny, sad?